Celebrating its 500th issue this months Doctor Who Magazine comes with two exclusive interviews with Doctor Who star Peter Capaldi, as well as a specially commissioned front cover where Peter recreates the first ever cover of the magazine. The 500th issue, which is available this Thursday, features Peter adopting the same pose alongside a Dalek that the Fourth Doctor Tom Baker did for the very first edition on 11th October 1979. “500 is a big milestone, and I’m sure you’re right to want to mark it BIG. Your magazine has been extremely good to me, and has helped to create a warm and faithful fanbase for the programme. I am still signing first editions. After all these years”. The highly collectable 500th issue comes packaged in a striking card envelope and is a bumper 116 pages long, priced £9.99. 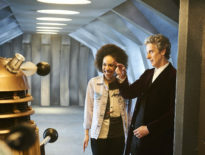 Other highlights include an interview with Doctor Who showrunner, Steven Moffat and a special treat for fans also in the form of an exclusive letter to Doctor Who Magazine readers from Pearl Mackie, who will play new companion Bill. The first issue of Doctor Who Magazine was published on 11th October 1979. 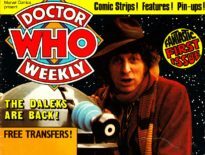 It began life as a weekly publication with a cover price of just 12p, created as the perfect accompaniment for fans of the BBC One prime time show. 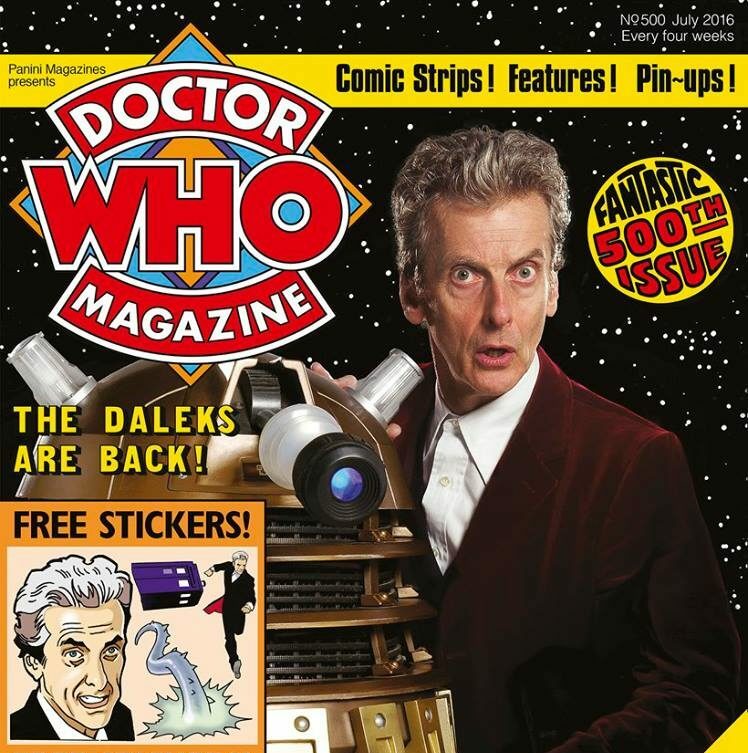 Featuring exclusive interviews with Doctors, companions and even some monsters, the magazine included comic strips, features, news and interviews. 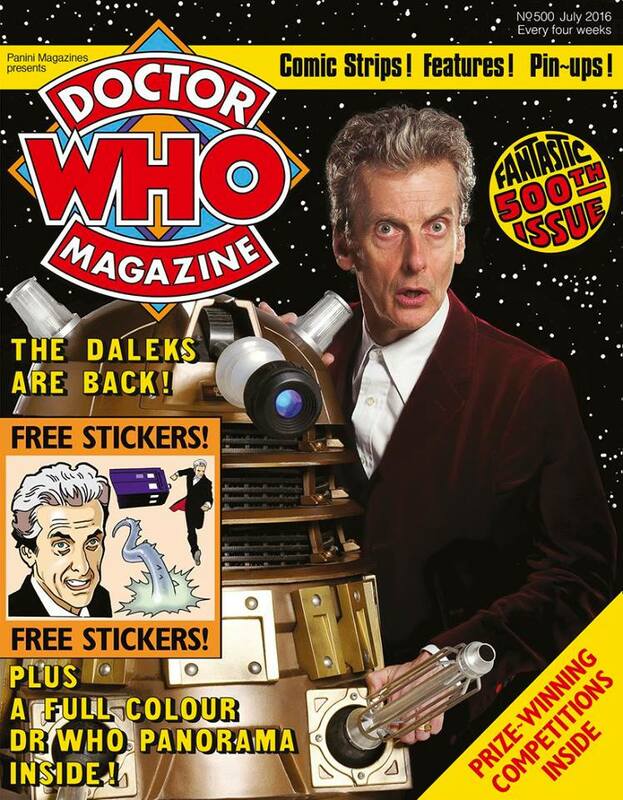 The 500th DWM is available to buy this Thursday 26th May from all good stockists. For more well wishes from cast and crew across the whole of the shows history, why not check out the DWM Youtube channel?